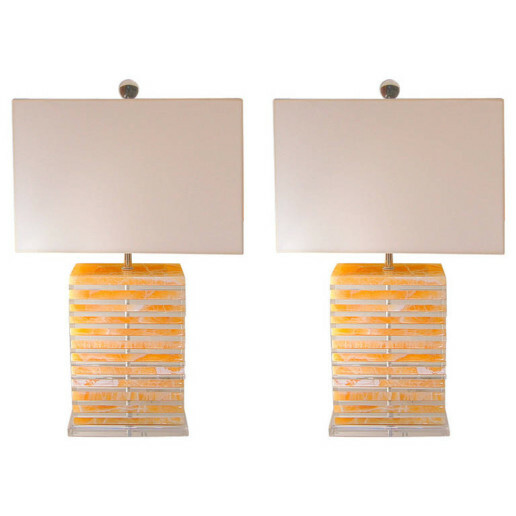 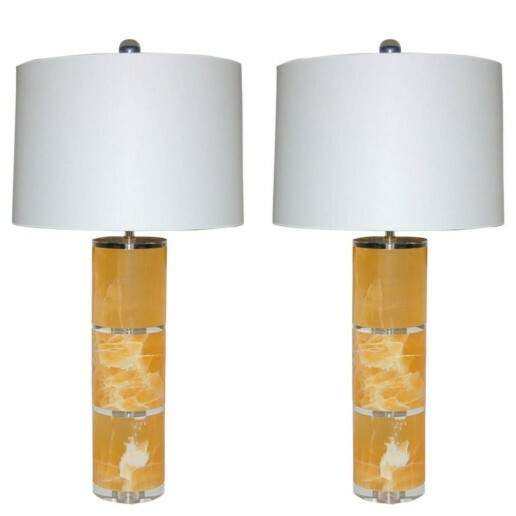 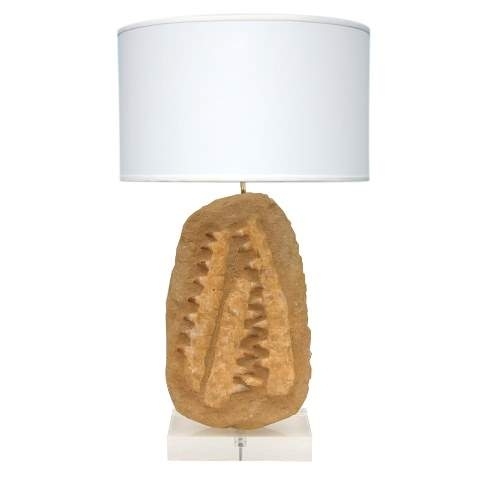 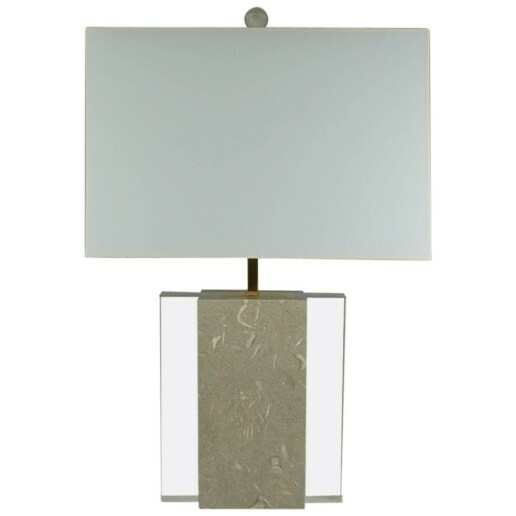 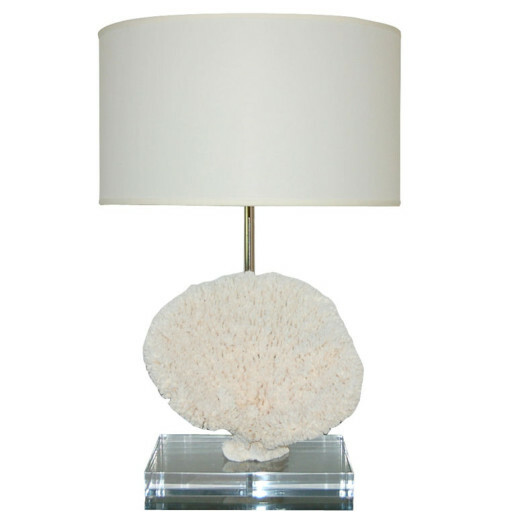 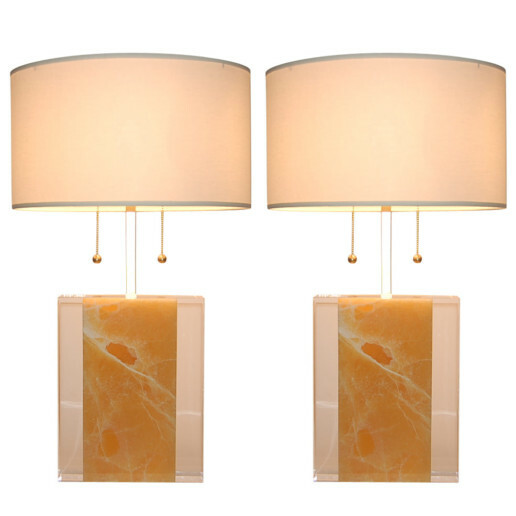 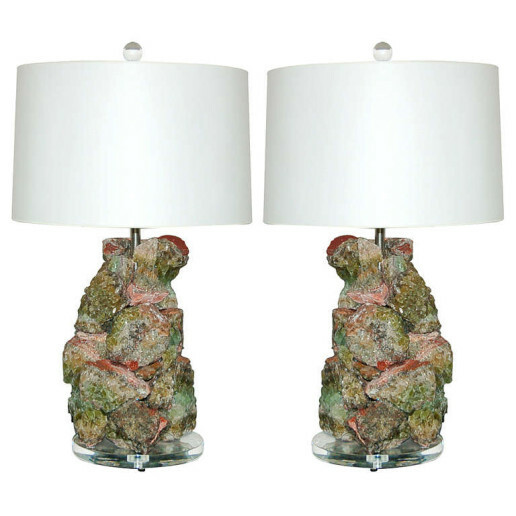 The base of each lamp is 7 inches square. 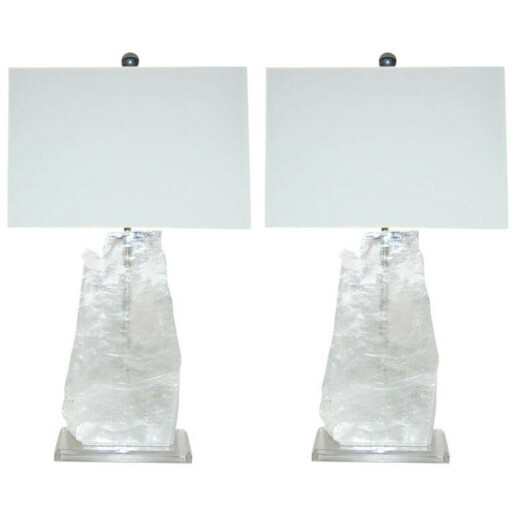 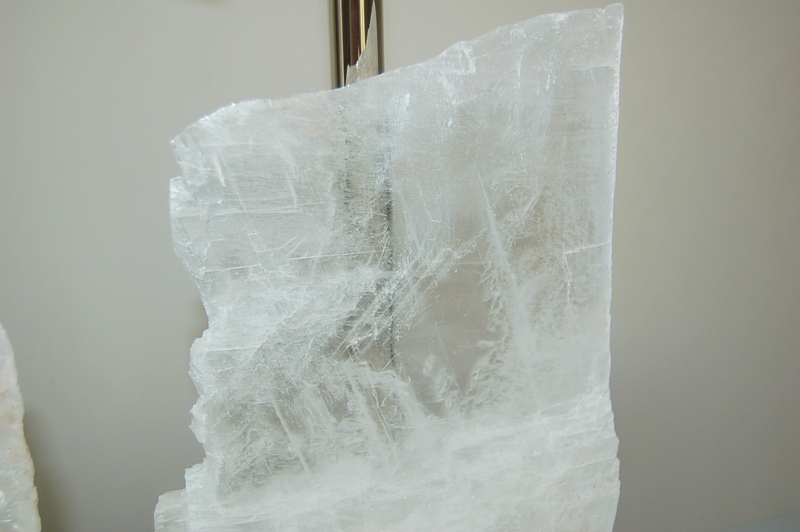 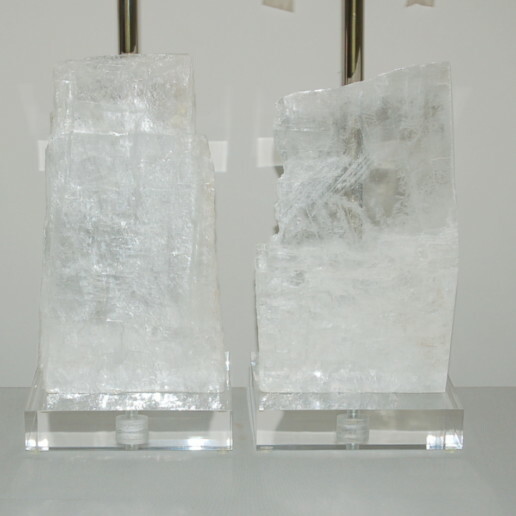 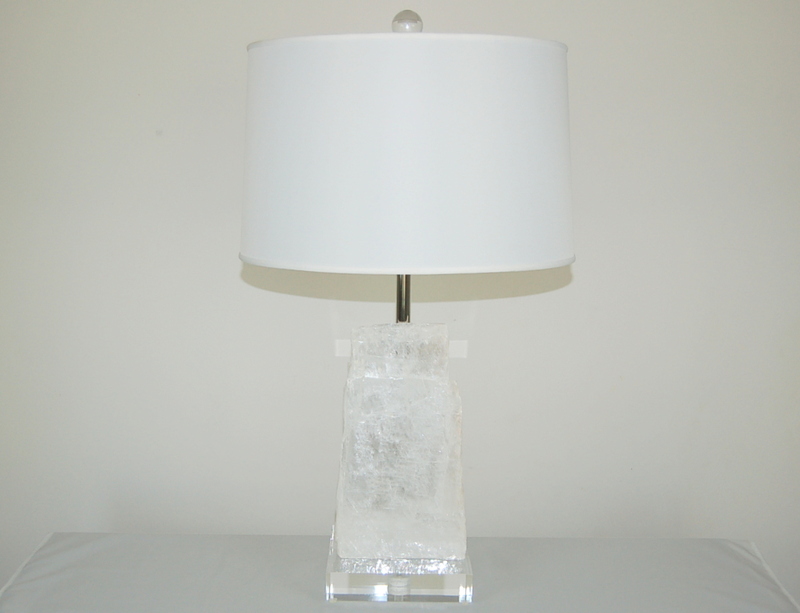 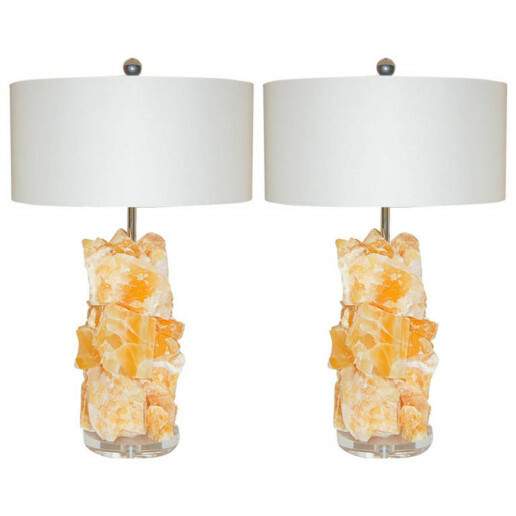 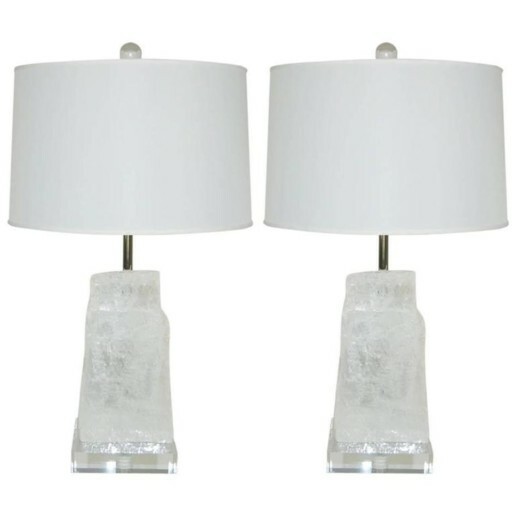 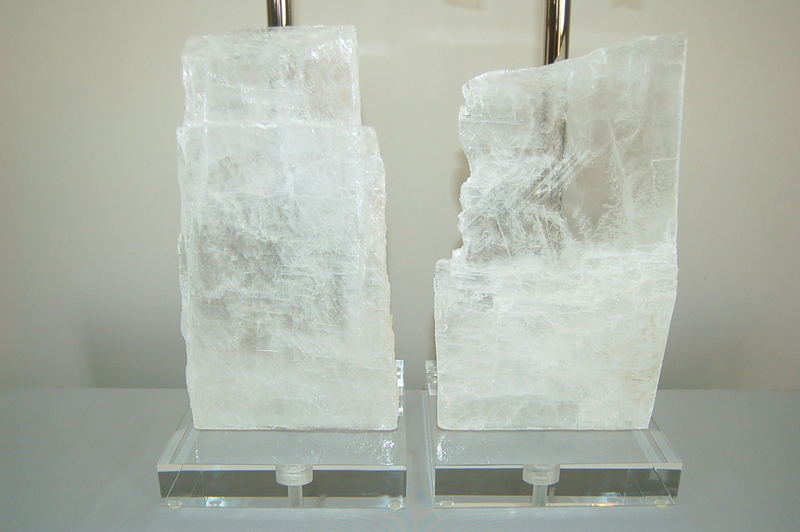 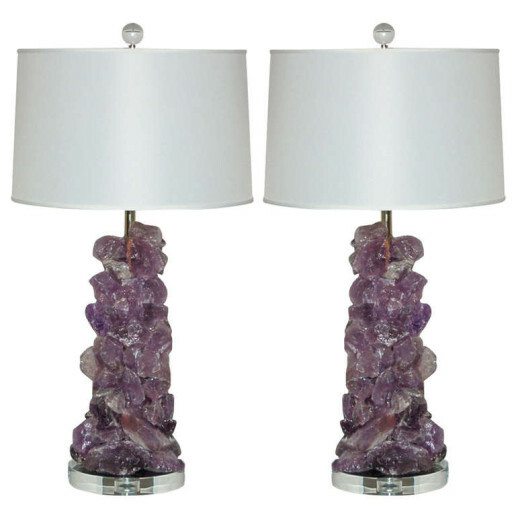 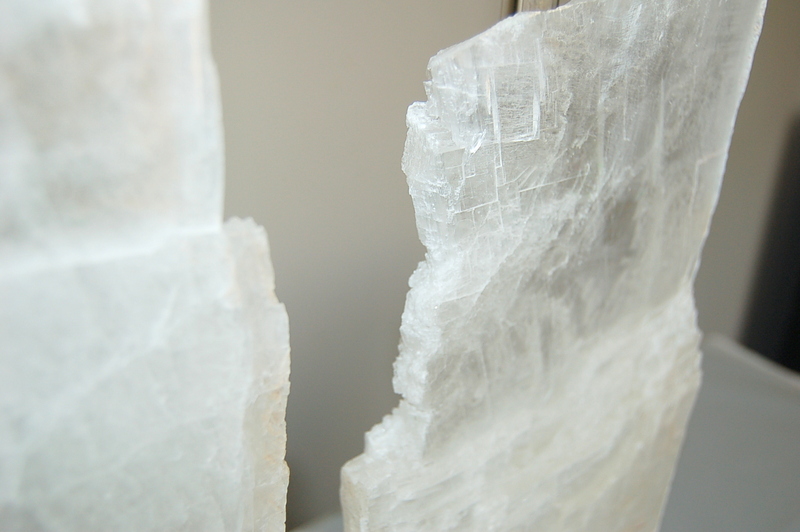 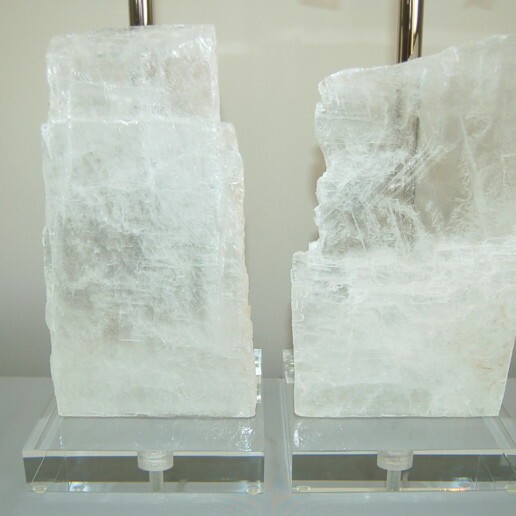 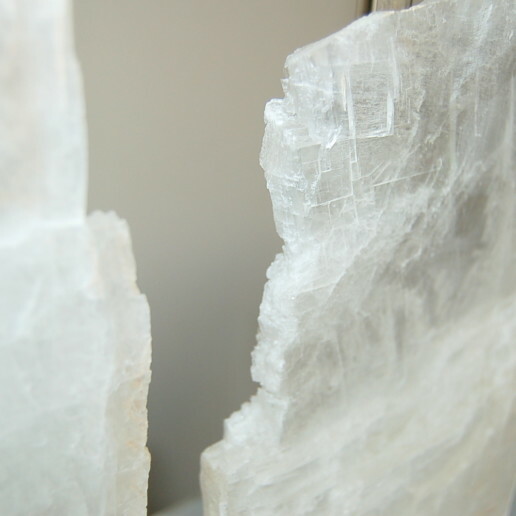 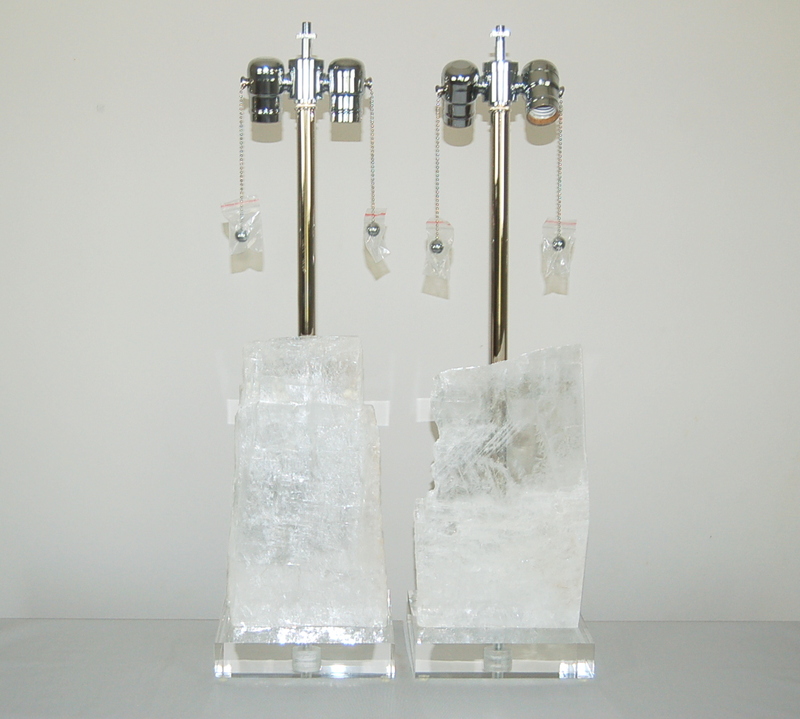 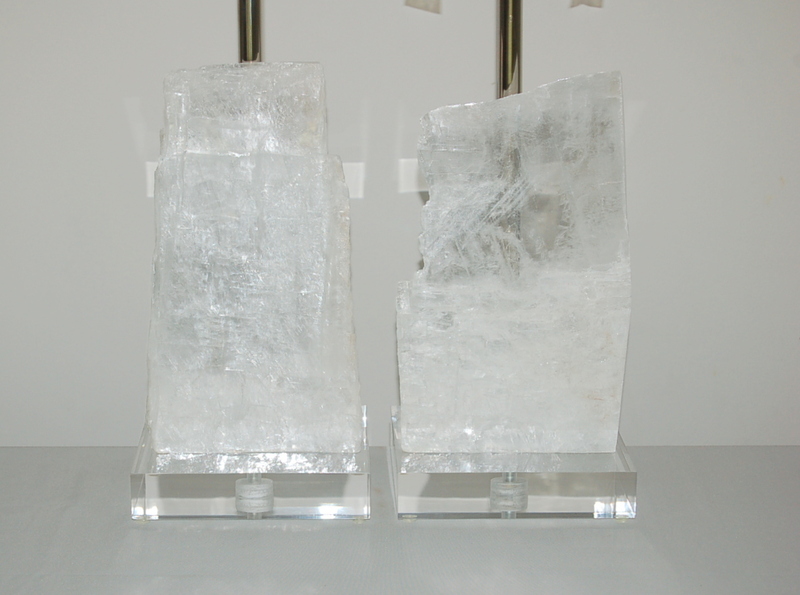 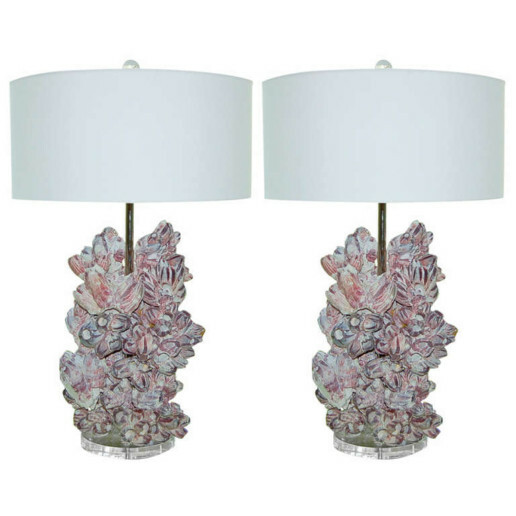 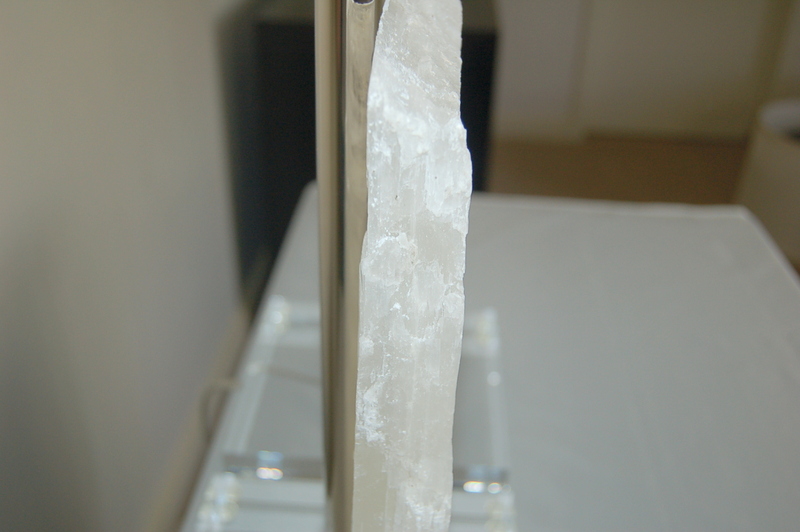 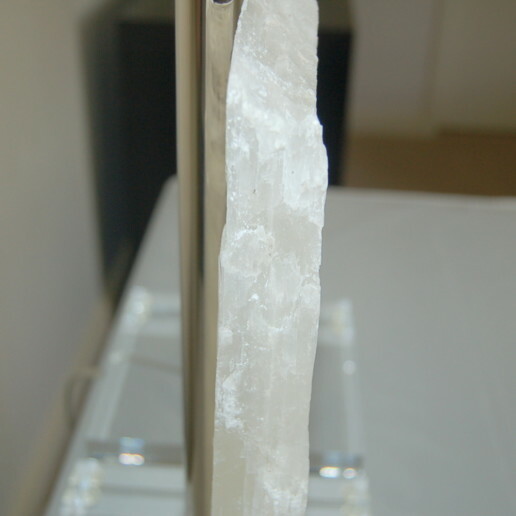 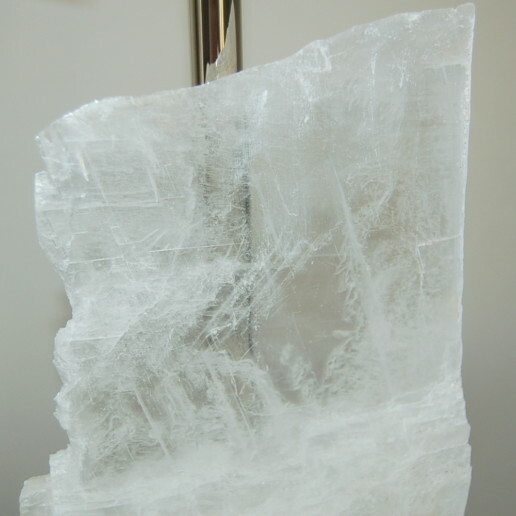 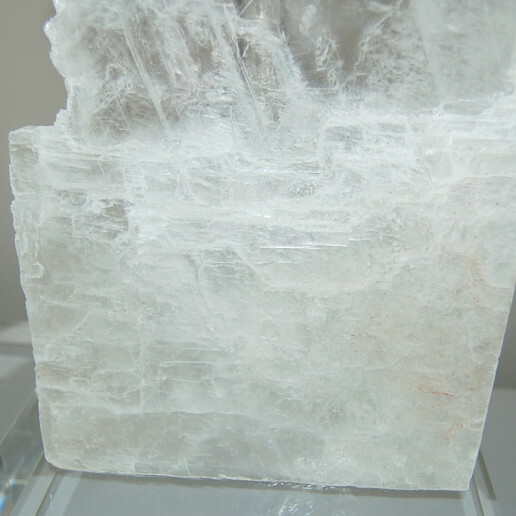 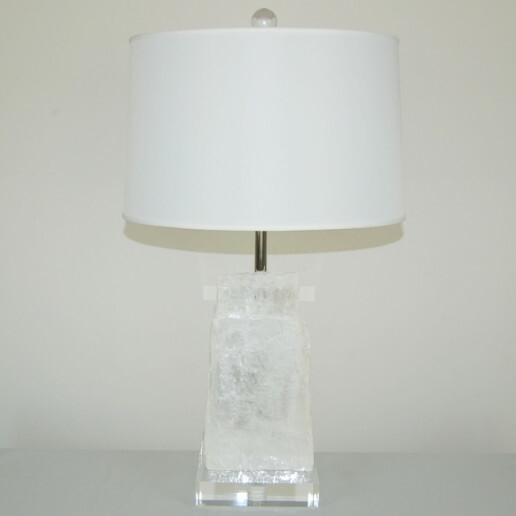 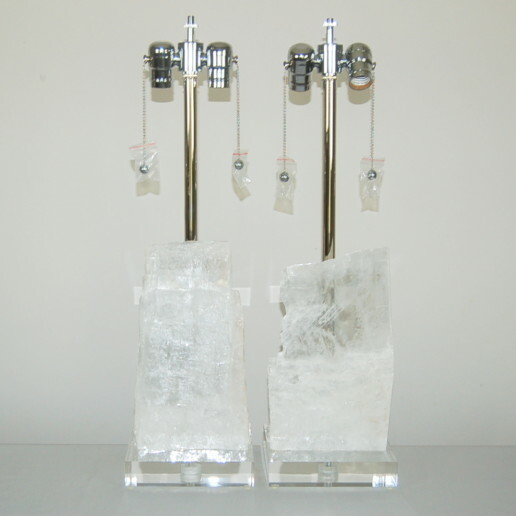 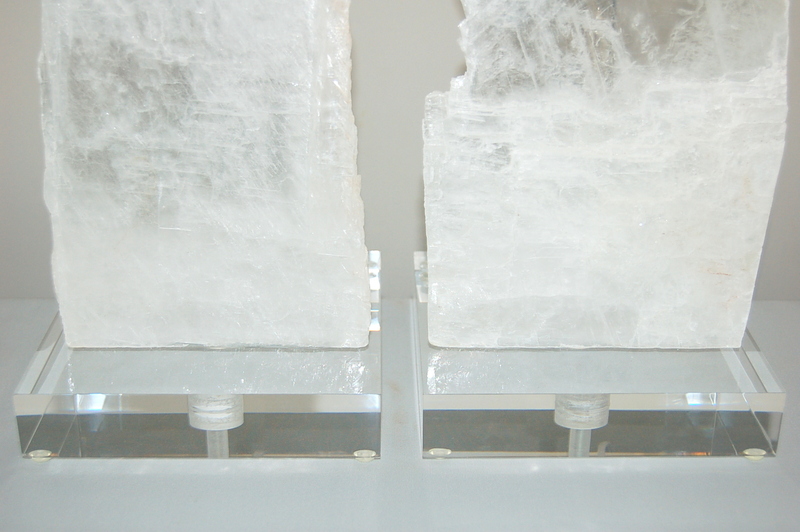 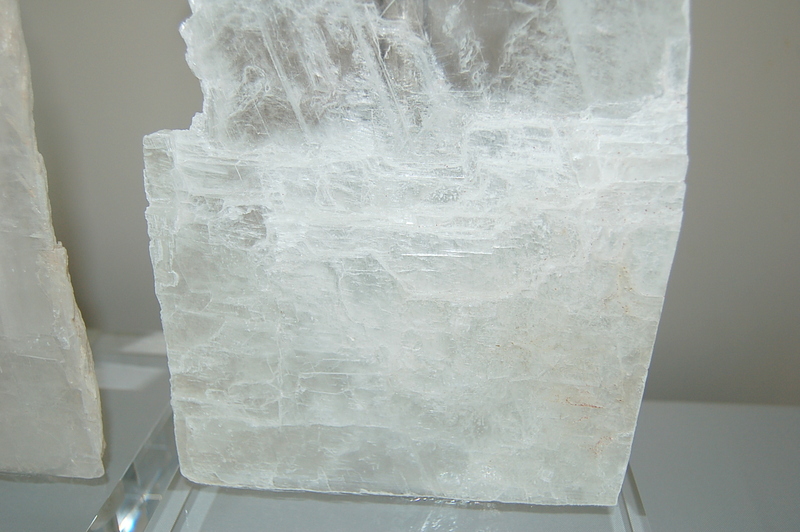 The selenite pieces are 11.5 inches tall and 6.5 inches at their widest. 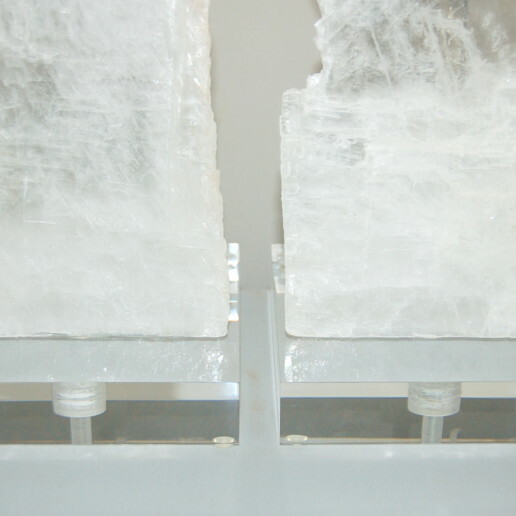 They stand 24 inches from tabletop to socket top. 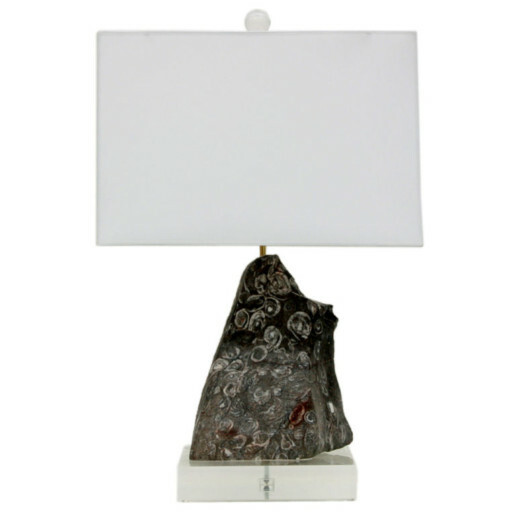 As shown, the top of shade is 26 inches high.